Tools required for disassembly: Torx 6 screwdriver, plastic tool such as a credit card or guitar plectrum. 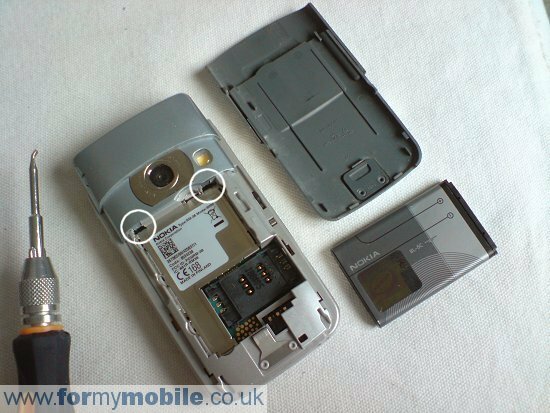 First remove the battery cover, battery, sim and memory card. To remove the camera surround you need a tool with a slight hook on the end to release two clips (circled). I had a special tool but you can improvise with the end of a key or a fork or something similar. Gently pull back the two clips which hold the camera surround in place. With the camera surround removed your phone will now look like below. Run something like the edge of a credit card along the join of the front cover. Your phone should now look like below. Remove the five circled screws to release the frame for the LCD screen. Your phone should now look like below. Lift the LCD screen up and away from the phone, as pictured, to access a ribbon connector. This attaches like a plug and socket. Lift the connector up, away from the phone, to unplug it. You should now have the LCD screen removed. Reverse the procedure for reassembly. 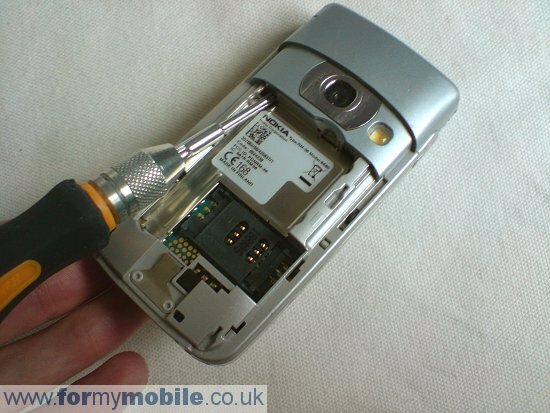 If you've found this disassembly guide useful, please support formymobile.co.uk and order the tools and parts you need from our site. We ship worldwide! 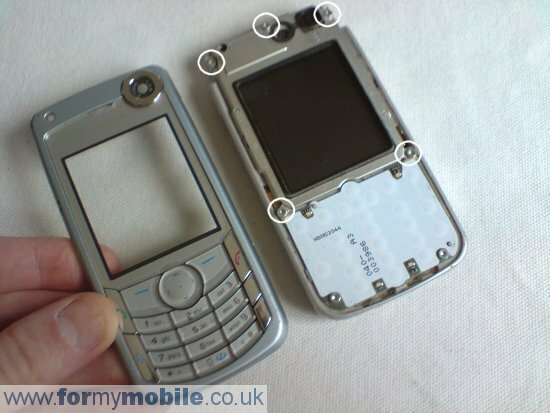 If you have any questions about how to take apart and repair your broken Nokia 6680, email rob.lee@formymobile.co.uk. 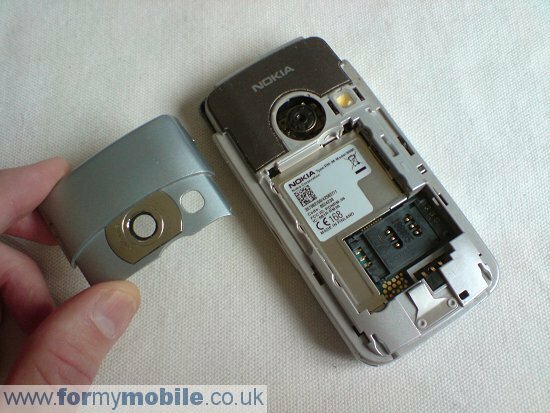 Or post a comment below for further help with Nokia 6680 disassembly.